Last year, I had the pleasure of participating in Archinect’s year-end feature: Predictions 2009. It does seem that 2009 was a tipping point and that momentum is growing to deal with the major environmental, economic, and social issues that we all face. Don’t know if we have all started giving a damn – but at least the hedonistic aughts have ended. Social equity – not sure on this one as I haven’t been paying much attention to this with everything else I’ve been up to. There are folks that are designing for the other half – just read the New Yorker article on stove designers and it looks like providing better stoves to the world has gone mass market! I’ve been doing my part to teach about green infrastructure – there is still too much grey infrastructure in the pipeline. But in the long run, there seems to be greater awareness by policy makers that infrastructure doesn’t require concrete. Not sure if local food is better, but I’ve been trying to be more of a locavore and having fun growing my own food (when it’s not frozen in minnesota). The air did get cleaner! this is one of the silver linings to the great recession. I’ll post the link if I can find it. Happy & healthy holidays to all my friends! Rocky Mountain Institute’s NEW Greenfootstep calculator!! The LATimes recently published a story about a possible new use of the Owens Lake Playa – a 616 acre solar power plant. The Owens Lake Playa is a place that I care about and have dedicated a significant amount of time researching and writing about. It is important to remember that the Owens Lake Playa is an artificial landscape created by the growth of Los Angeles. 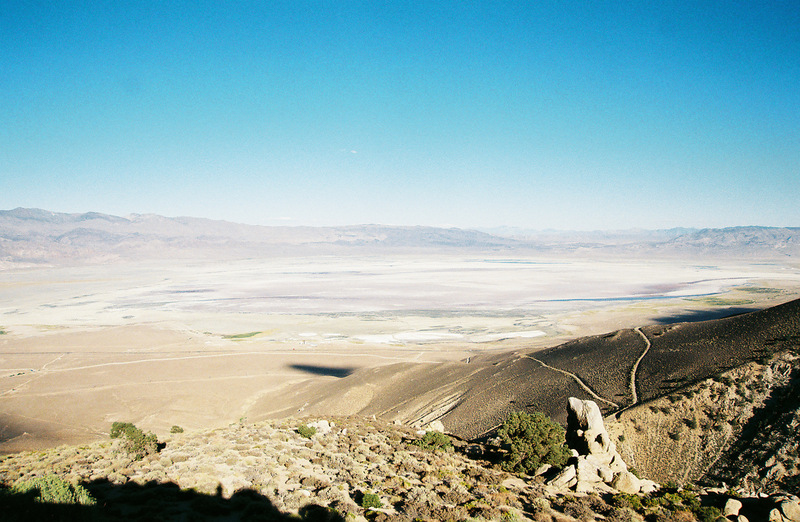 While the entire Owens Valley is a sublime landscape, it is not a pristine wilderness. As such, the Owens Valley is an ideal location for locating a large concentrating solar energy facility, especially because the transmission capacity already exists and the potential benefit of further reducing the PM10 dust emissions off the Playa. As the UN Climate Change Conference attempts to negotiate a new climate treaty in Copenhagen, their goal of cutting emissions ignores the imperative of addressing the global impacts that we are already experiencing. What the delegates need to create is a framework to prevent future wars over limited resources, provide basic necessities for the bottom billion, and to address the role of humanity on this planet. It’s not about ‘sustainable development‘ anymore, but climate resilience. In the process of teaching this semester, I’ve come to understand the magnitude of climate change and how far past the point-of-no-return we’ve gone. Much of this evidence has been known for a while, but now the pieces are falling into place and penetrating into our collective awareness. 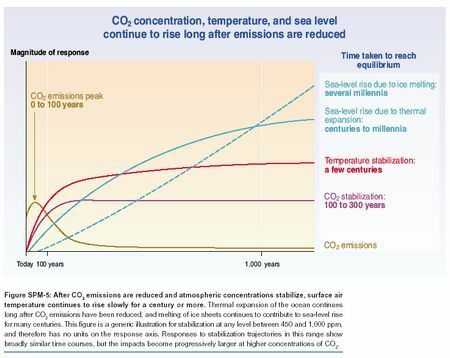 The time is now to start adjusting for the impacts of climate change, ocean acidification, eutrophication, sea level rise, melting glacier/snowpack, drought, invasive species, and more intense storms/flood events, along with the parallel crisis of peak copper, oil, and other resources. That said, we must not give up in our fight to reduce our carbon emissions and all our other environmental impacts. We must also start an all out effort towards creating a resilient landscape and civilization that can adapt to the new Anthropocene climate.